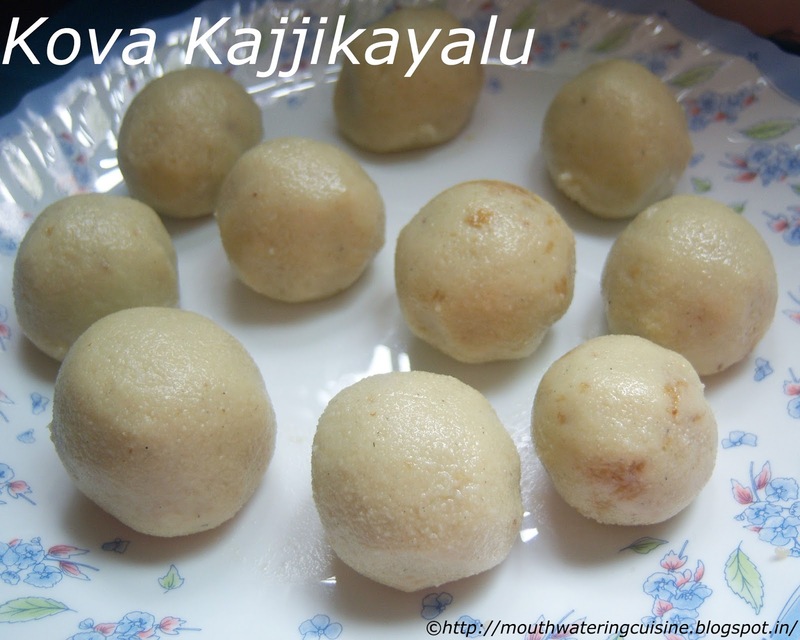 A very special and traditional Andhra festival sweet. In my childhood days, I prefer this sweet from shop. My dad brought one or two pieces for me as it was very expensive. To avoid my crankiness mom learned making of it. And she did it for me. Nice thing to remember. :) I learned it from her. Dry roast crumbled khoya for five minutes and keep it aside. If you are adding maida add it, I did not added it. Grate coconut and powder jaggery. Heat a thick bottomed vessel or kadai, combine coconut and jaggery. Mix well and cook on low to medium flame. 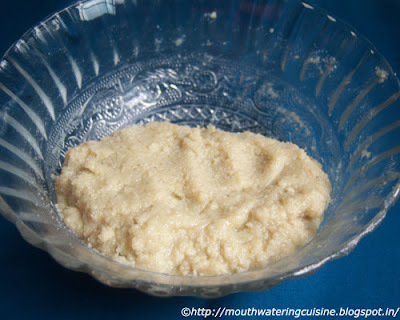 Cook till jaggery melts and the mixture becomes thick and lumpy. 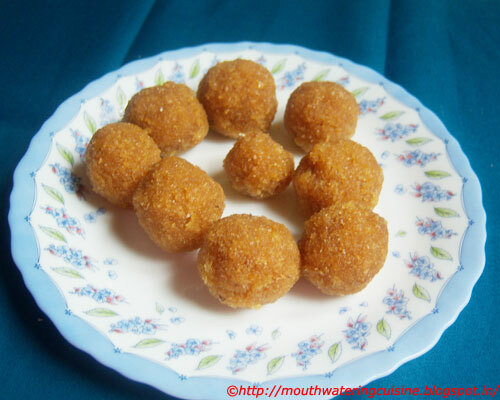 Check it by making small ladoo out of it, if it forms a thick ladoo, it is done. When this mixture warm enough to handle make small ladoos. I made 15 ladoos with this mixture, of course they are small lemon sized only. keep them aside. Add powdered sugar to the khoya. If khoya is hot sugar melts and making the outer layer is a tricky job. Make a smooth dough out of it. Grease palms with ghee and take small portion of khoya mixture into it. Spread it like a small chapati and take small coconut ladoo and cover it with the khoya and make smooth and round ball. Repeat the same with the rest of the khoya. Allow them to cool completely and serve. We can not store them for more than two or three days.